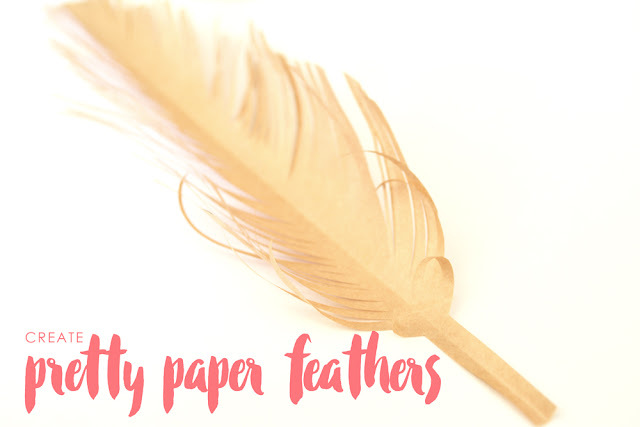 Paper feathers are so pretty and so easy to make. They add a lovely finishing touch to gifts and look lovely hung on the Christmas tree. You might even like to attach them to string to create a garland! 1. Cut a piece of paper to the approx. 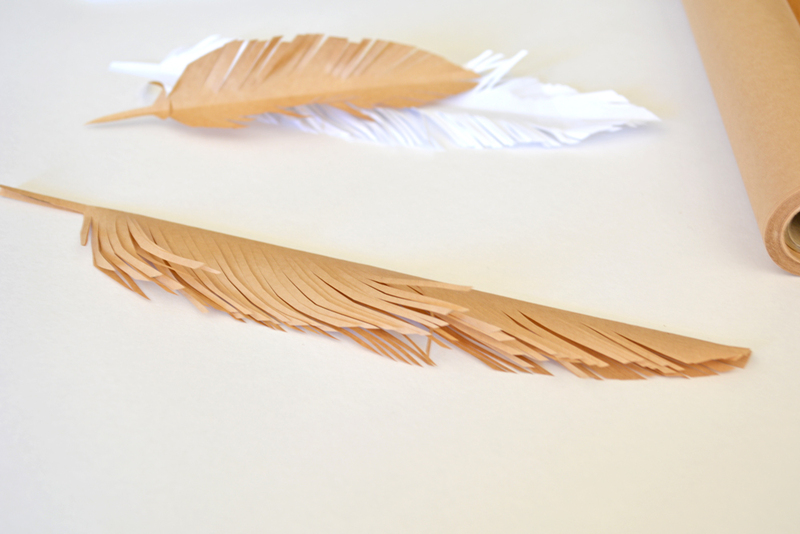 size you would like your finished feather - ours is 24cm x 10cm. 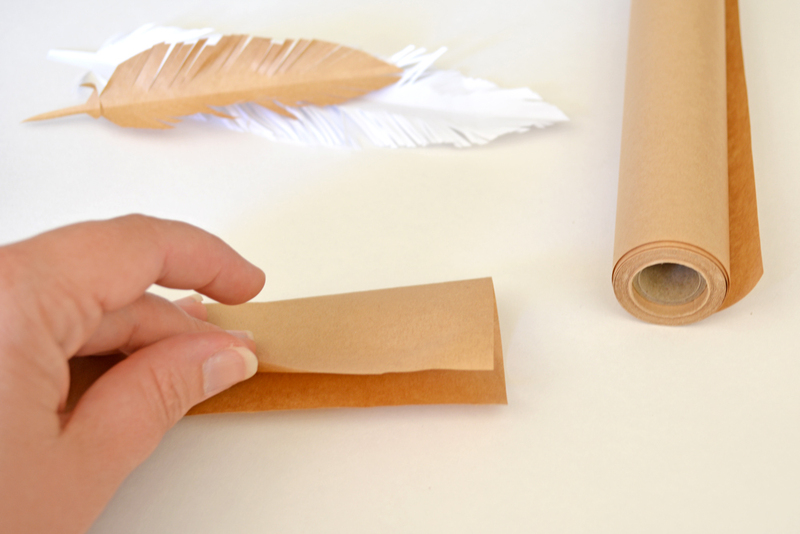 Fold it along the length of the piece of paper so you end up with a piece 24cm x 5cm. 2. 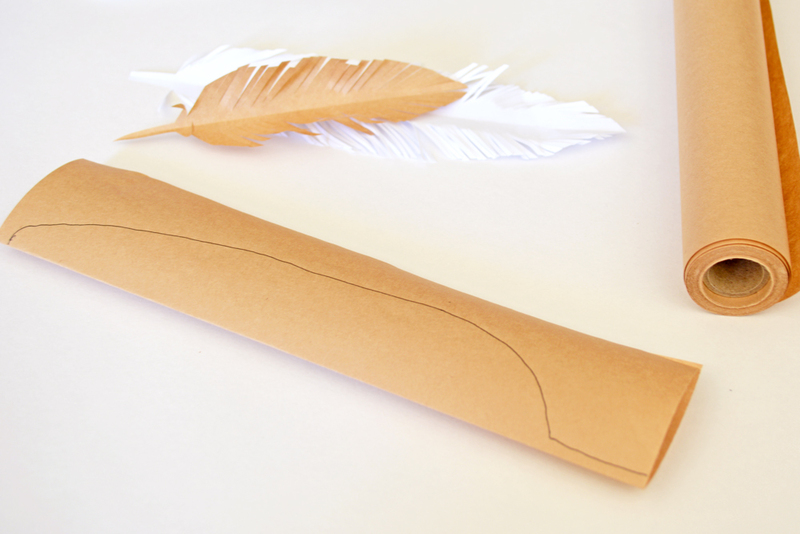 Draw a template along the folded edge. 3. 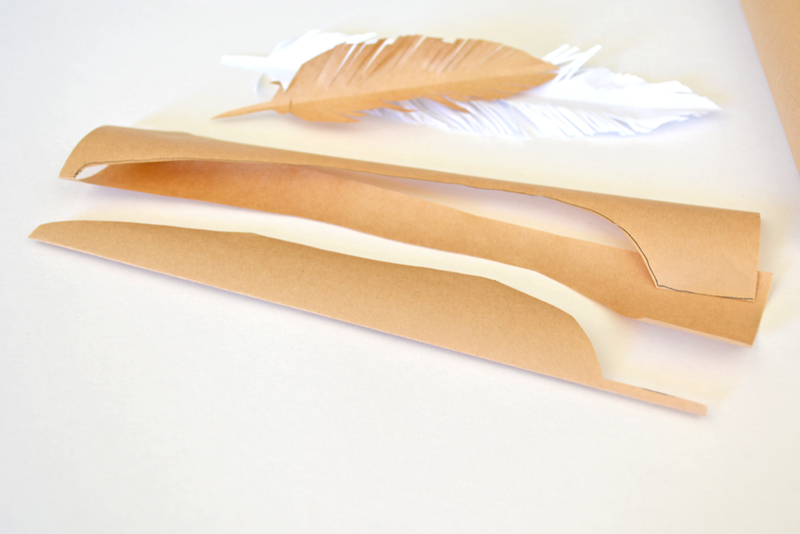 Cut out your feather shape. 4. 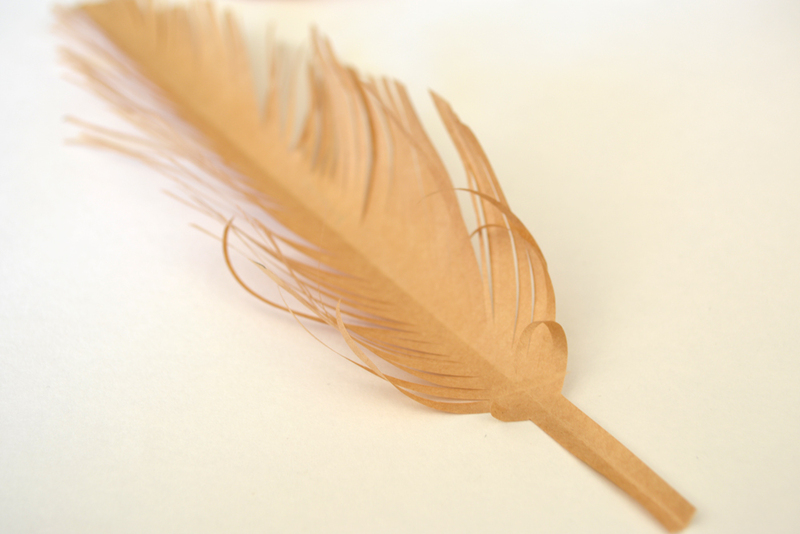 Start trimming into the feather to create the barbs of the feather, working around the curve as you go. 5. 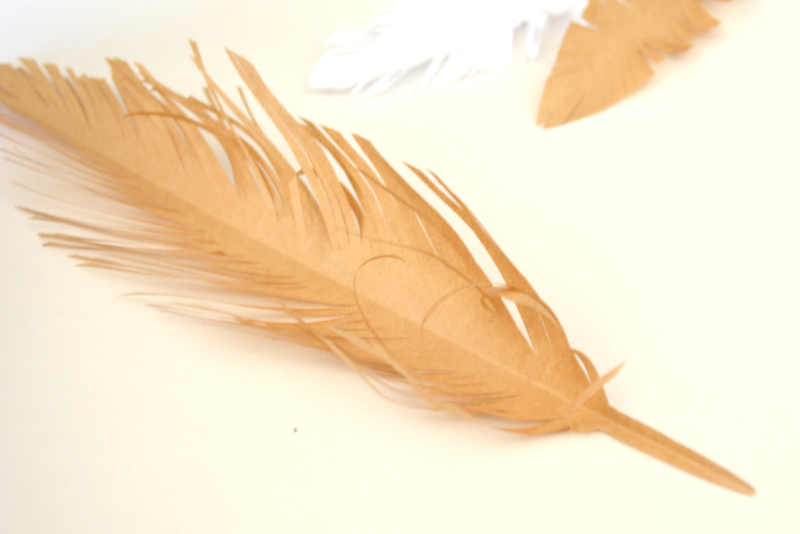 Continue trimming and creating barbs along the length of the feather. 6. Open out the feather and curl the bottom barbs by running them between your index finger and thumb nail. 7. 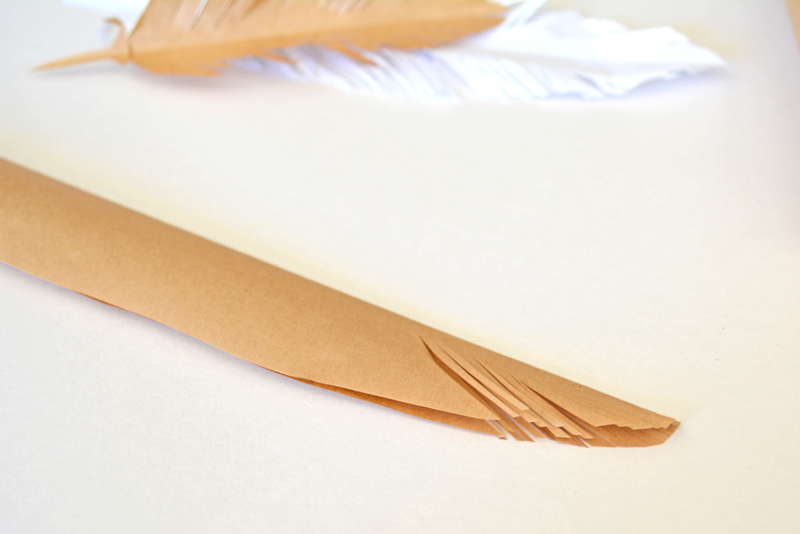 To finish, trim the base to create a curved, pointed tip. Thanks to Officeworks for supplying to products for this post!